Everyone waited so long to see Roger take the court tonight. All day I have been pushing hard on the new catch phrase “Run with Roger” – the new widget you see in the right sidebar. Click the photo of Federer (right sidebar) and you go straight to WatchTennis on FedererFan07. Who knew what would happen tonight. How late would the match finish? Would the forecasted rain postpone play until Tuesday? The match began at 11:50pm on Arthur Ashe court. In 12 minutes, Roger was leading 5-0. In 19 minutes, he wrapped up the first set 6-1. In 55 minutes, he emphatically went up two sets to love. 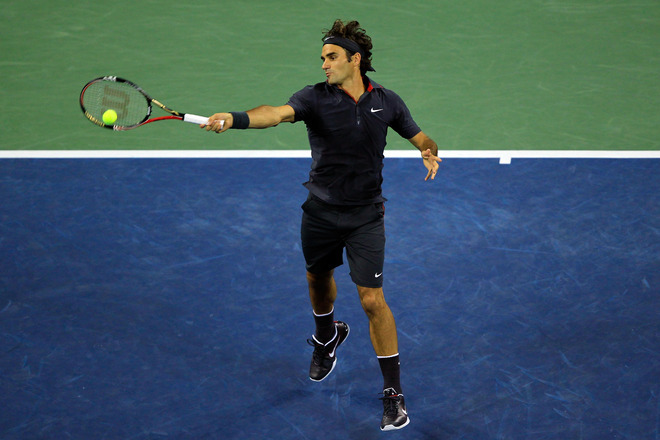 After an hour and 22 minutes, after 14 aces and 42 winners, Roger Federer finished off Juan Monaco, 6-1 6-2 6-0. 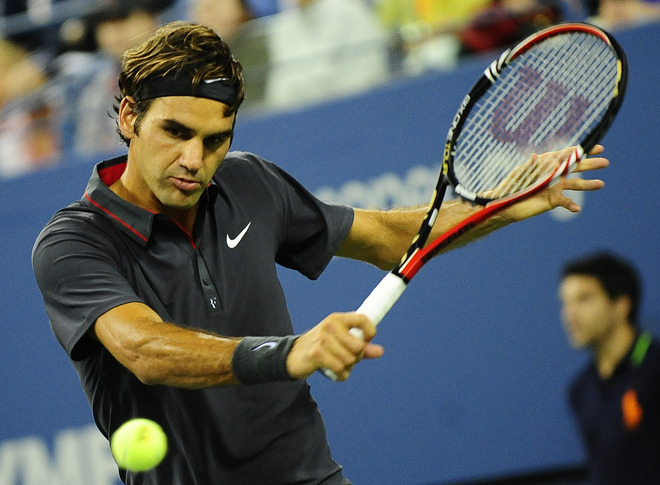 With the win, Federer is now into his 30th consecutive grand slam quarterfinal. Next up is an extremely tough and challenging match against the powerful Frenchman, Jo-Wilfried Tsonga. It will be a big match, and Roger says he’s looking forward to it. “It’s sure something I’m looking forward to. Look, I live for the big matches, live for playing a guy who is explosive, has got some firepower,” Federer said. “I like to play those kind of players, especially now that we’re in the deeper stages of the tournament.” Stay tuned for more coverage as the match nears.